Wireless charging has been integrated into a lot of common things. We have tables and lamps with wireless charging, and even monitors and cars. Although, this is the first time we’ve heard of bikes with wireless charging integrated into it. Coolqi, a bike sharing platform, has worked with a subsidiary of Haier Electronics to make these bikes. They have integrated a wireless charging phone mount at the center of the handlebars. This will let you charge your phone and still be accessible whenever you need it. There are also USB ports and a Lighting connector to charge phones which aren’t Qi-enabled. 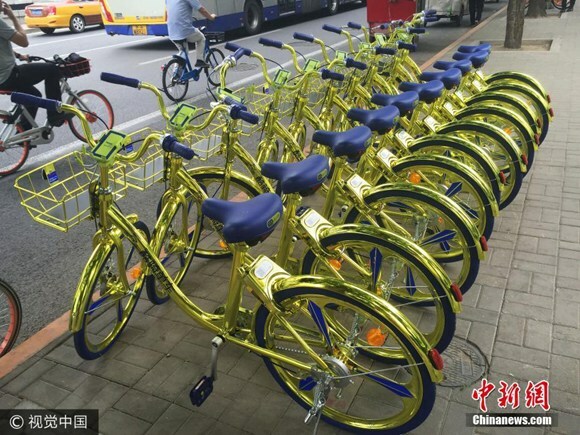 The bikes are going to be available in Beijing, Shenzhen, Shanghai, Hangzhou, and Xi’an. Reports of these going outside China are still unavailable. Next articleLG G6 32GB and G6+ is what the original should have been.